For this Howto I use Debian Lenny (still testing and not "stable" for the simple reason as - contrary to Debian Etch and/or Ubuntu 8.04/8.10 - the install routine does setup the initrd correctly so that you can set up encrypted swap and also an encrypted raid1 lvm during install). 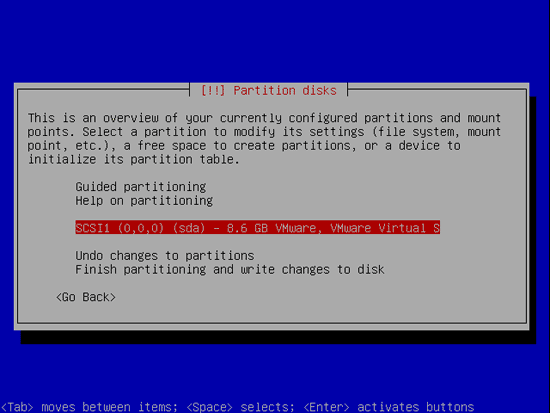 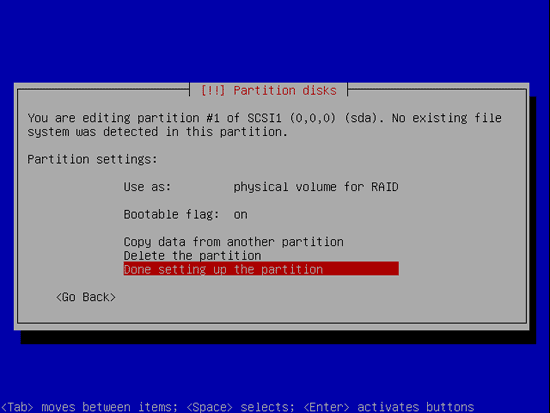 This Howto will be heavy on screen shots again - a lot of them are repetitive as I setup multiple partitions at once. 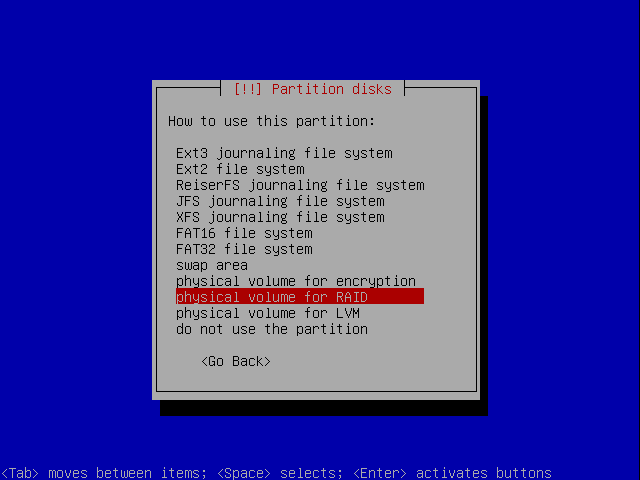 Basically I will set up the system in a way that (a) everything [except for /boot] will be encrypted, (b) everything will be on a raid1 and (c) have a LVM for your data partition so that this one can be easily expanded. 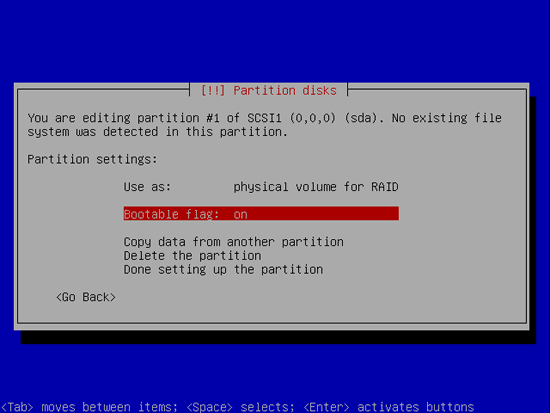 The reason for Raid1 is that I wanted to setup the system in such a way that if one disk is failing the system can still be "setup" quickly and without knowledge. 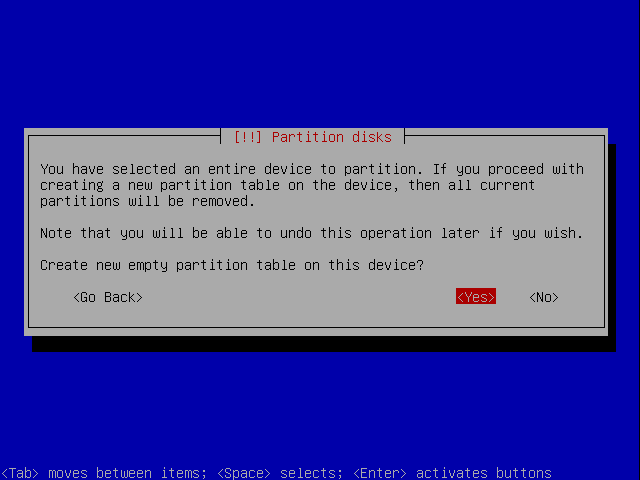 The only thing one has to know is to disconnect which of the drives and then boot the machine. And we'll return at the previous screen, this time with an empty partition list. I make it 256MB - that should be sufficient for a few kernels. However make it larger if you want to run more kernels on it.. 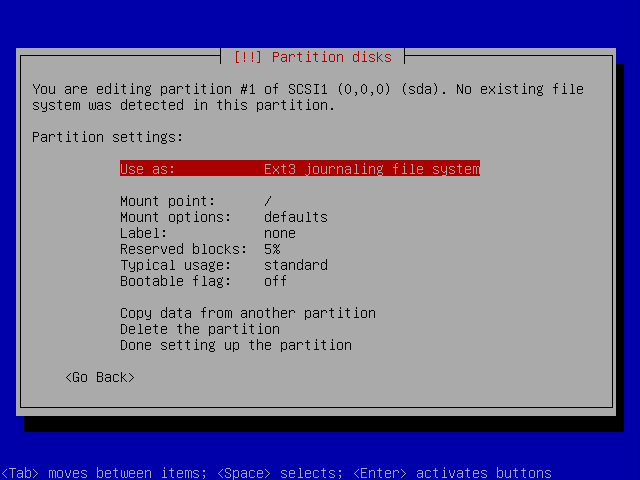 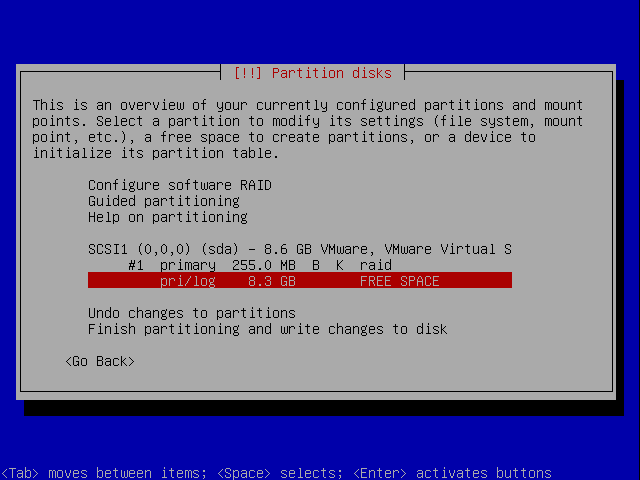 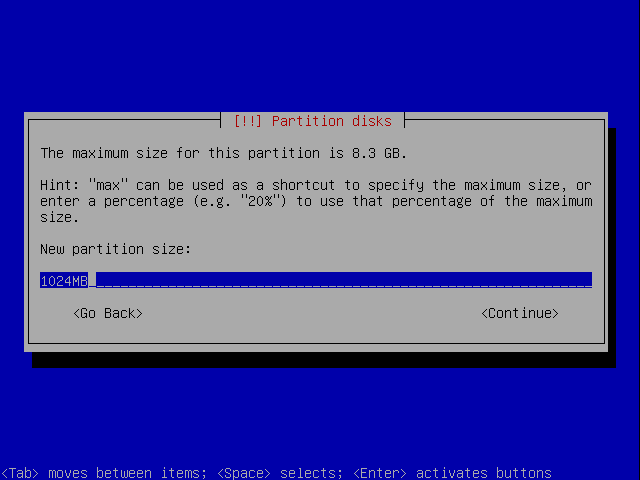 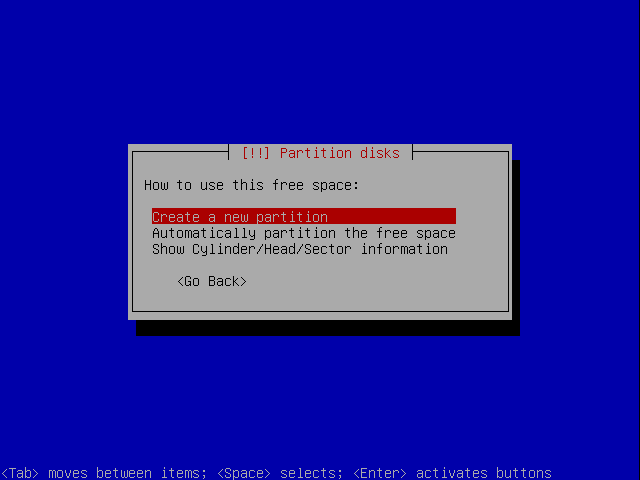 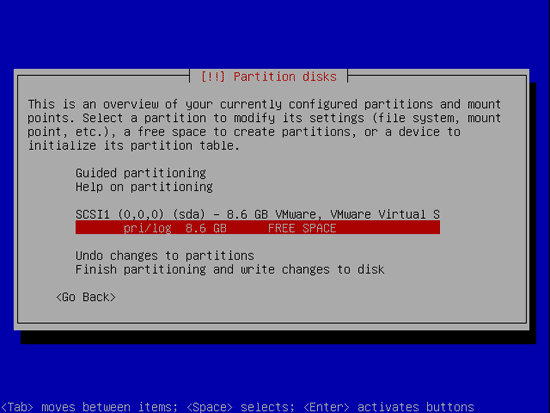 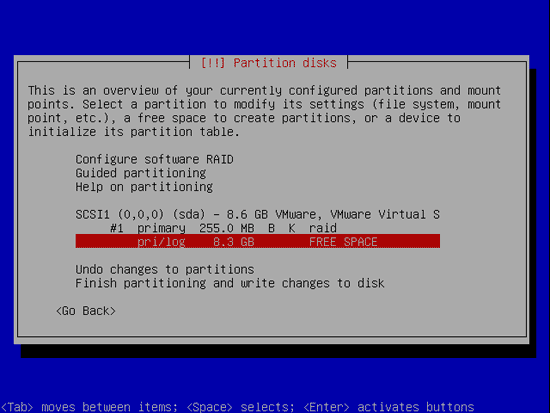 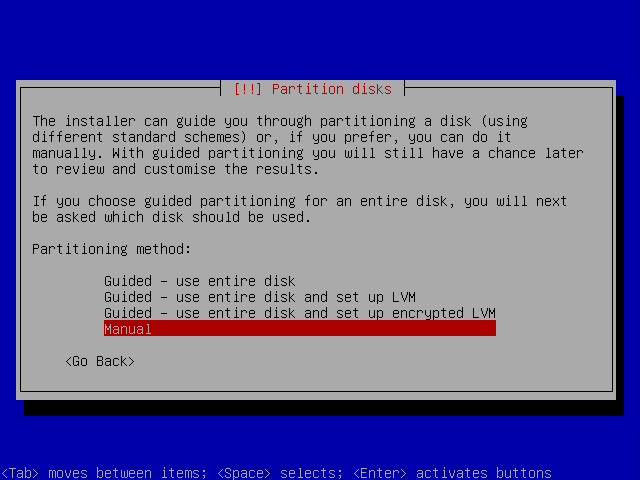 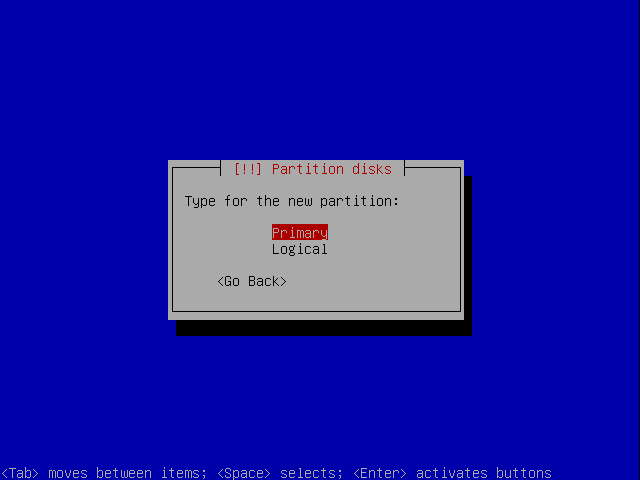 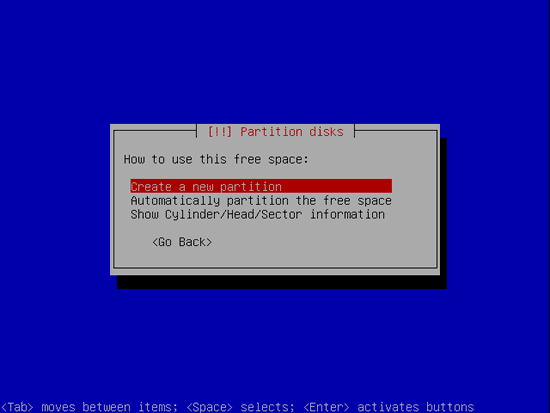 In this Howto I make all the partitions primary. So you should be well aware of the size and implications of it. 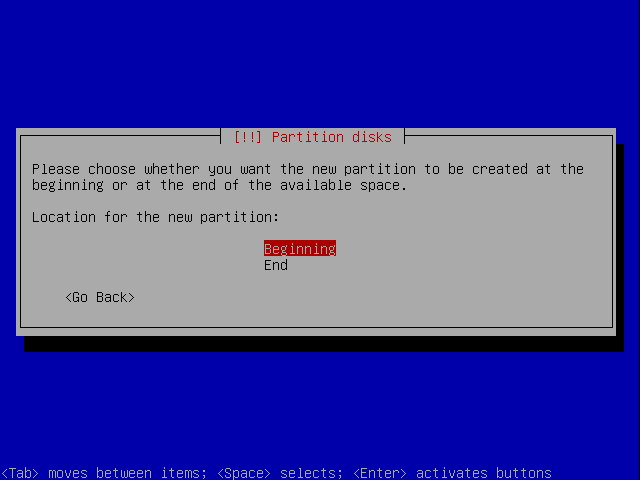 I set it at the beginning. You could also set it at the ened... IMHO it doesn't matter much. 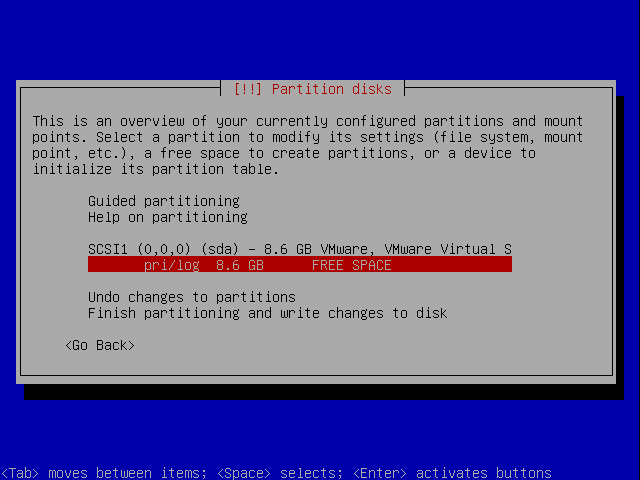 I set it at the beginning. 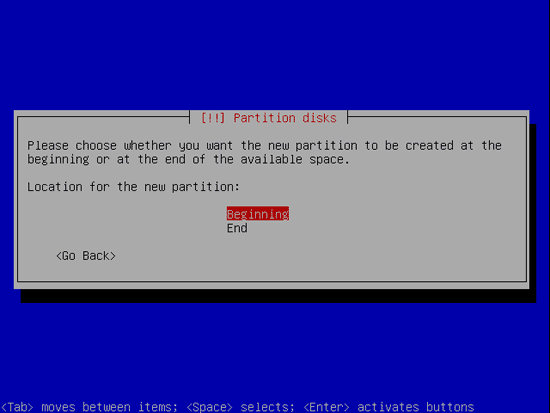 You could also set it at the end... IMHO it doesn't matter much.